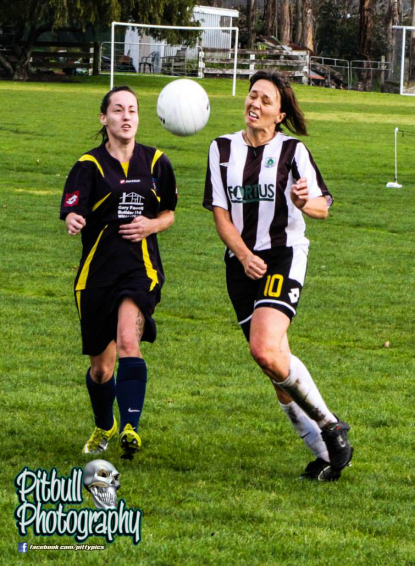 Thanks to Pitbull Photography for allowing us to post these. You can check out the rest of the photos here. Before the game, there is obviously a good mood prevaling. 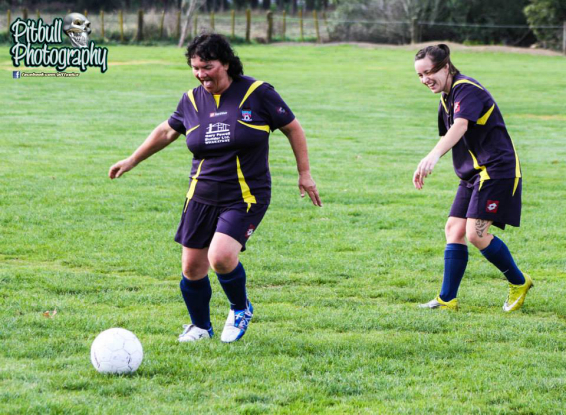 Kate Collier gets cheeky and Jenny McIntyre cracks up. 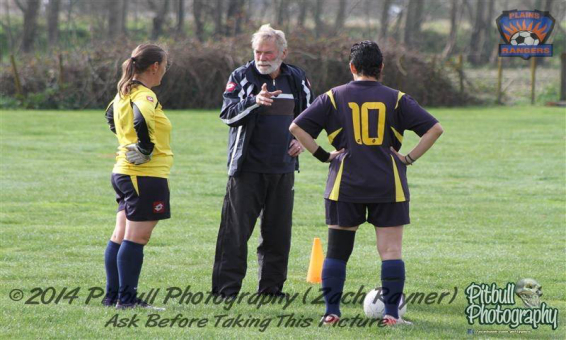 Coach Michel Nillesen talks to new keeper Kate Robbie and newish player Joe Ingle. The battle is on. 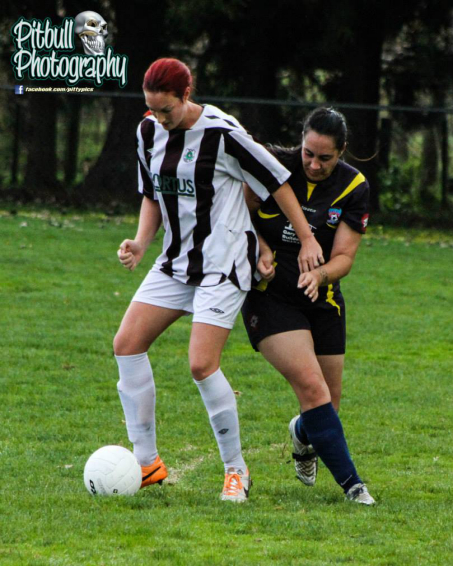 Jenny takes on Karen Stanton. 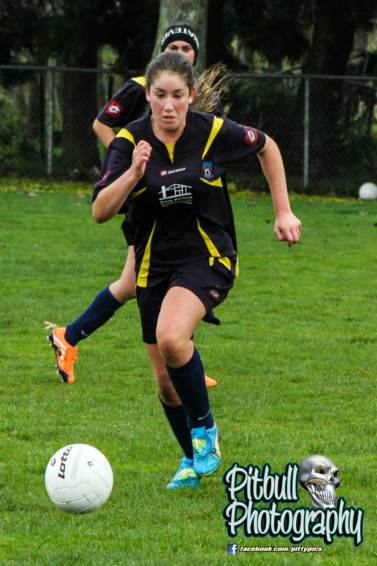 Actually Karen used to play for Edgecumbe many years ago. 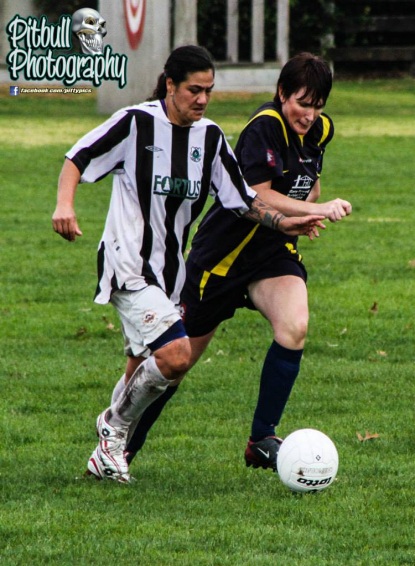 She was women's player of the year way back when. Check it out here on our Honours Board! 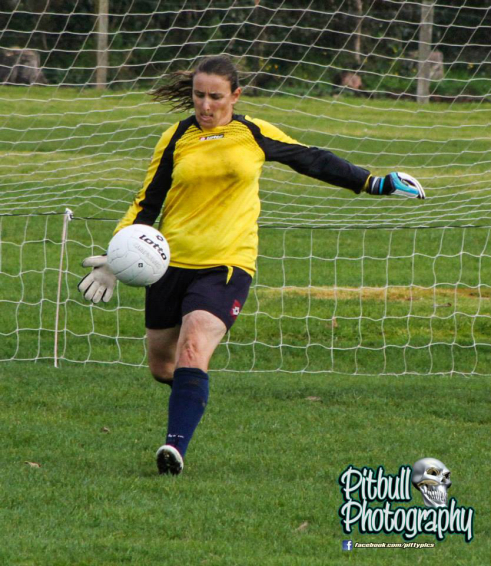 Kate was in excellent form and was duly named player of the day for a string of fine brave takes. Lanae Jarrett is pretty quick. 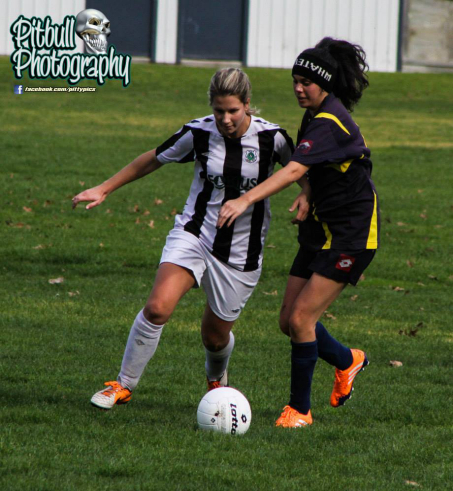 Mel Pullar did some stirling work in defence. Raven Hunia always gives 100 per cent. Shirley Patterson reads the game well. 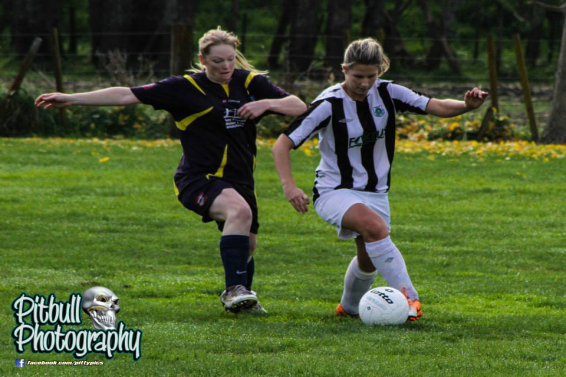 Tracy Pullar does well in defence.